Anche a me piacciono, sono molto boho! Oooh! I've been all about hoops but I have to say the idea of a bright read tiered tassel earring would be even more fabulous! Carinissimi, io li trovo perfetti per l'estate!!! The tassel earrings is instyle for spring and summer. It would be nice to wear them with a summer dress. 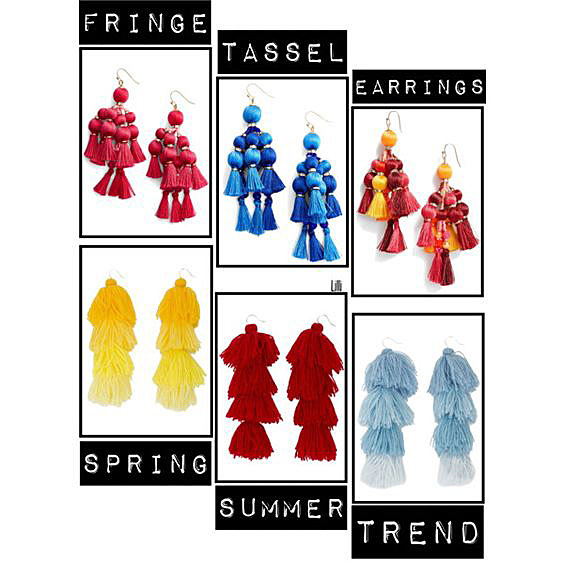 Tassel style earrings in vibrant shades are so fun anf perfect for summer. Wth so many great colors, it's hard to just choose one as well. I can totally see you rocking these in a rainbow of shades Lilli! Happy new week! Che carini, li voglio tutti! I like these cute earrings! The pairs in the top row are my favourites. Hopefully I will come across a nice pair on my next shopping spree.